I am social media worker I am working here from 6 years . we have team we can manage a lot of order at a time . Our service don"t harm your site at all. It"s a manual service done by human and they are my nearest best friend we run this service for long time . Signals comes from all over the world . All accounts are real and active. Your satisfaction is our proud so for your satisfaction we are here 24 hours . 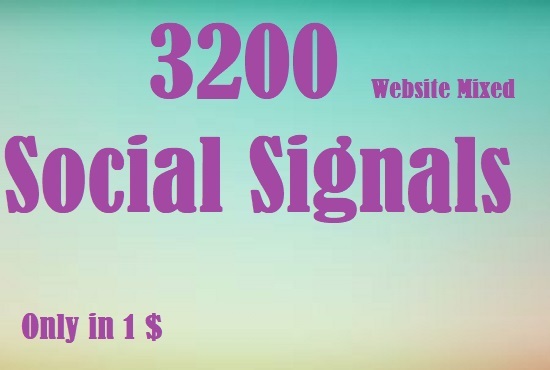 3200 Website Mixed Social Signals is ranked 5 out of 5. Based on 295 user reviews.